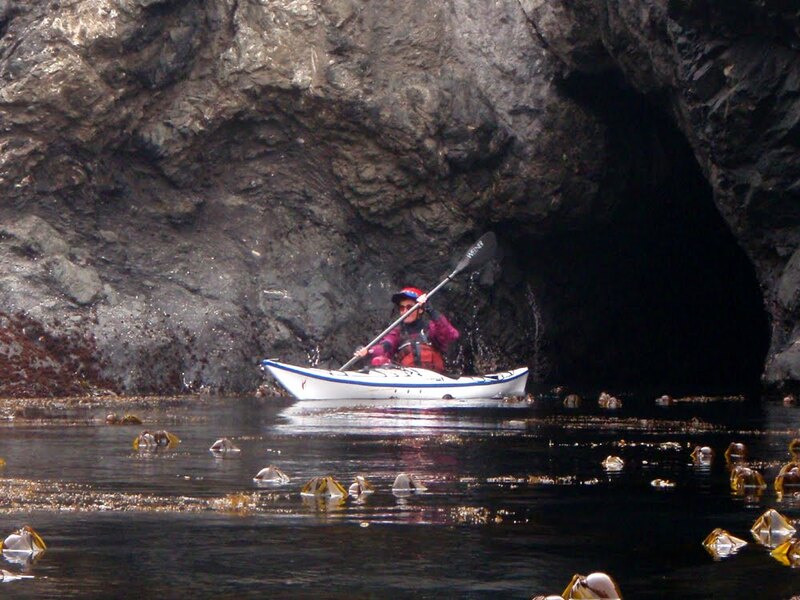 Imagine 4 days of sea kayaking among the rock gardens and sea caves of the ruggedly beautiful Mendocino Coast. Yes, many come to the Mendocino Coast to sea kayak and have paddled stretches of the rock gardens and sea caves but few have done a Tour de Mendo Liquid Fusion Kayaking Style. 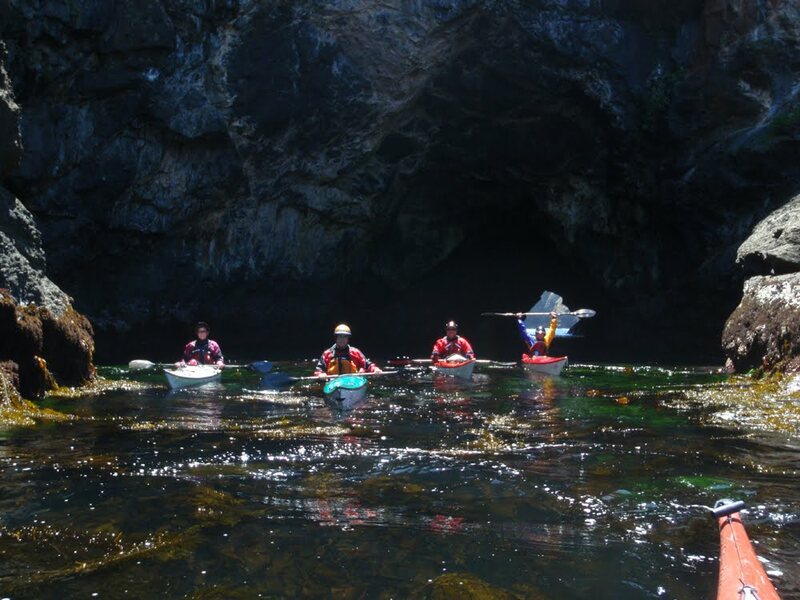 Congratulations to a group of paddlers from San Diego who just completed a Liquid Fusion Kayaking Tour de Mendo. What makes a Liquid Fusion Kayaking Tour de Mendo different from others sea kayak tours of the Mendocino Coast? 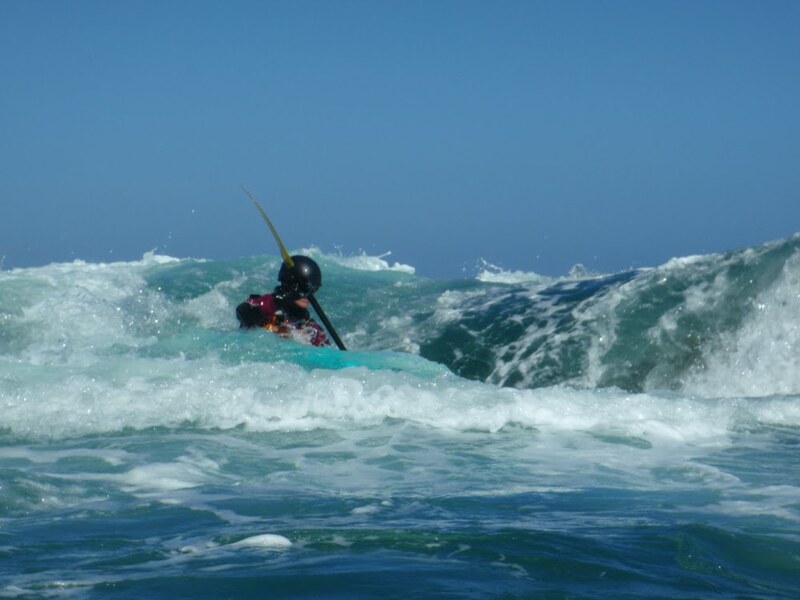 We have an intimate local knowledge of the Mendocino Coast because we live, paddle, and play here. We know those special off the beaten paddle places (and the best spots for great food and live music). 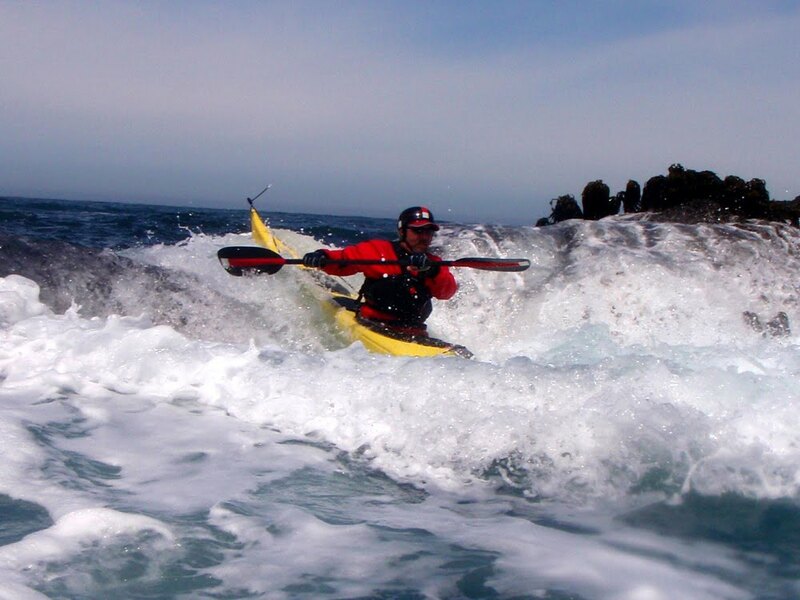 We instruct and challenge paddlers to improve their skills and paddling repertoire while paddling with us - be it paddling a whitewater kayak, surfing a kayak, or tossing a greenland paddle in their hands. Unfortunately, I had to hold down the shop for most of the Tour de Mendo, but it was fun to get their perspective of each day's adventure. 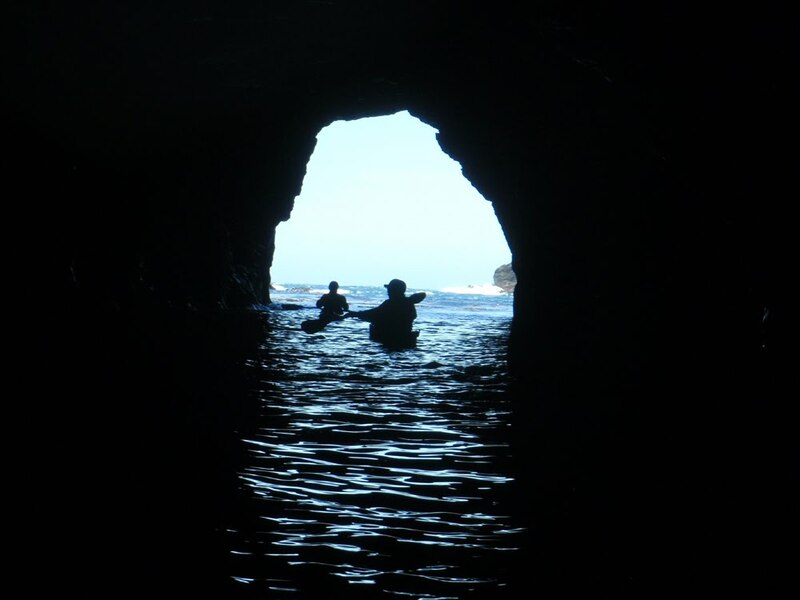 They marveled over their exploration of intricate networks of rock gardens and sea caves and told stories of fun rides through surge channels and pour overs and moments when Jeff and the sea challenged their skills. This crew was definitely up for the challenge. I did get to paddle with them one morning for a whitewater kayak rock gardening session in Noyo Bay and look forward to joining them in the fall of 2011. 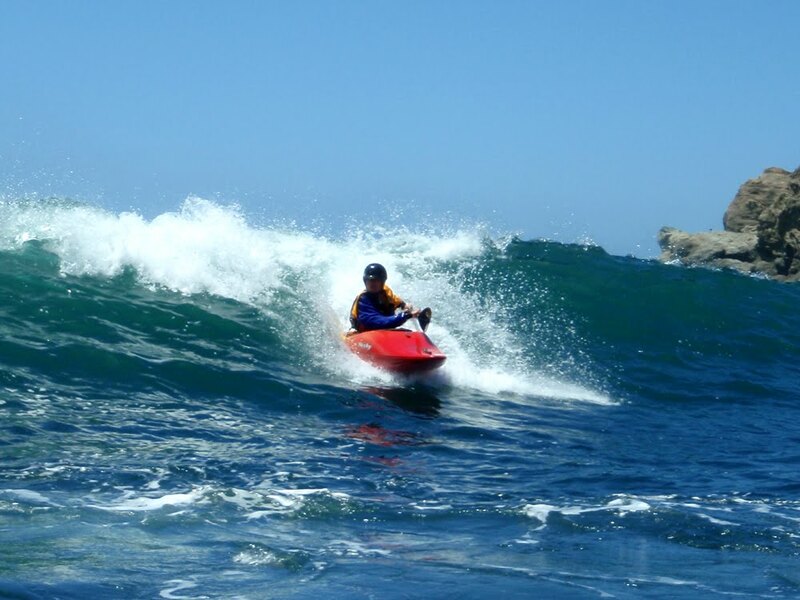 As spectacular as the area is, it is even more amazing how LFK develops paddling plans that reflect the varying conditions and ability levels of the paddlers. There is no way we could have found the many gems and playspots along the coast or have weaved through the challenging conditions without Jeff's expert guidance. I can't think of a better place to learn and apply skills. This year's Tour de Mendo will be a topic of discussion for a long time. See you next year if not before. Thanks again! I couldn't have said it better Jon. 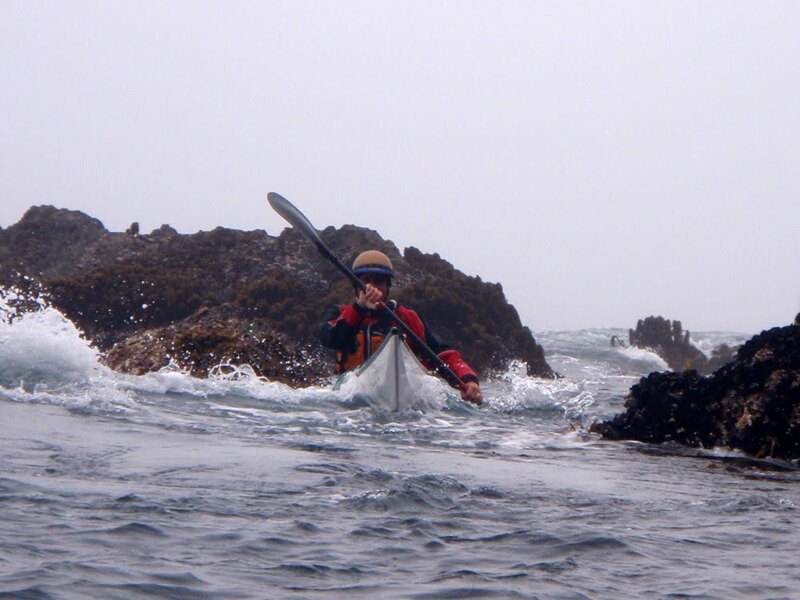 Jeff's attention to each paddler's ability and desire to tackle (or not) new challenges, plus the local knowledge bot Jeff and Cate have of the features hidden along the cliffs, when pour overs are fun versus when they're dangerous, where to find Osprey, otter, sea lions, etc, all make LFK the ONLY way to take full advantage of what this spectacular stretch of California coast has to offer.